All Blacks v USA - was it worth it? 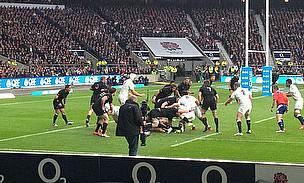 The November Internationals Round 2 saw some great test match rugby union, depending on who you support. 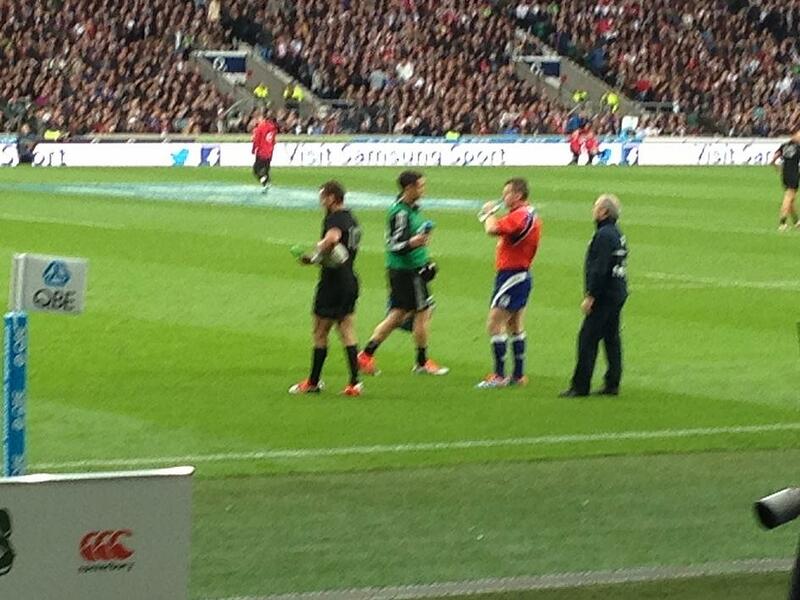 There was a massive crowd at Twickenham and my personal highlight was to see Dan Carter as water boy. He would surely have kicked better than Cruden or Barrett! Here are ten questions to come out of the weekend's rugby. 1) When will television replays and crowds stop affecting the matches? It seemed that referee Nigel Owens was being constantly swayed by replays shown at the ground, which then influenced decision making. Surely, people outside a game of rugby can't influence decisions made at the ground? 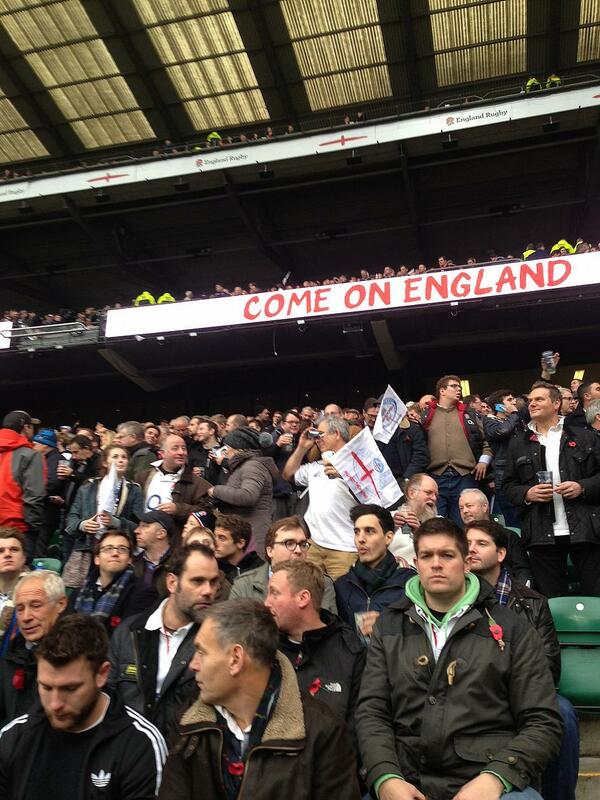 We saw this in the Springboks vs All Blacks game recently and now we have seen it at the England vs All Blacks game. While Dane Coles was rightly given a yellow card for retaliation from a Dylan Hartley special, should the referees consider external television and crowd reactions to make decisions, even if they are sometimes the correct decisions or is all of this simply part of home ground advantage? 2) Is the Southern Hemisphere actually stronger than the Northern Hemisphere? Most rugby matches from the weekend included one team from each hemisphere and the results were almost split fifty fifty. The home advantage to the European teams really levelled the ledger. 3) When is a penalty try, not? Surely the crowd influenced poor Nigel Owens in the All Blacks vs England match when he awarded England a penalty try despite England not looking as if they were definitely going to score a try. I think he was influenced by the crowd and the clock being close to full time. The interesting thing is that England weren't looking like scoring a try any other way in the second half of their match against New Zealand. 4) Is Ireland the real deal? The Six Nations champions beat the highly fancied Springboks and under coach Joe Schmidt look like a genuine threat going into the Rugby World Cup 2015. 5) How much can we read into IRB rankings? It was interesting seeing some teams lose to other teams with worse IRB rankings. This was partly due to injuries or unavailable players, but most SuperBru tipsters picked Canada, New Zealand Maori All Blacks, Tonga, New Zealand, Australia, USA and France to win, while Ireland's win over the Springboks shocked most and Italy and Scotland's wins were only picked by the minority of tipsters. It looks like some teams including Samoa, Georgia, Argentina and Romania are understrength, so that is something to consider in future rounds. 6) England loves to point the finger at the Pacific Island influence in the All Blacks, but plenty of foreign-born players are in the England squad. For the record, most of the Pacific Island players in the All Blacks are born in New Zealand, rather than simply playing for the country because they happen to get paid well by club teams there. Our NZ based reporter, Scott Donaldson asks The Sunday Times and its rugby correspondent, Stephen Jones to please respond to this. For an interesting look at where the All Blacks are from, click here. 7) Which team impressed you the most over the weekend? The All Blacks were good, but not at their best, but Ireland played well against the Springboks. 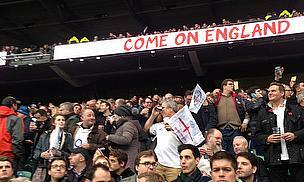 8) Who was your Man of the Match from the England vs New Zealand match? Richie McCaw is hard to beat for his performance. 9) Is it time for players or coaches to have referrals like they have for cricket or tennis to appeal decisions? I would rather this was the case than the current system where the crowd or television replays at the stadium are making decisions. In some ways, Nigel Owens did not know whether to listen to the crowd, players or TMO like with the Faumuina try which he had doubts about after awarding it. Is the standard of refereeing getting worse, or are we just noticing it more with technology? Not only did Nigel Owens have a night to forget, but Roman Poite will not be welcome in South Africa again for a while. 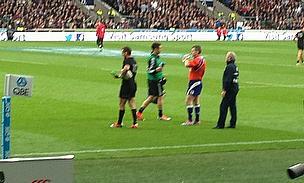 Are we being too strict on referees or do they need to go back to school? Or is it just a lame excuse to blame the referees given how many rules there are in rugby? 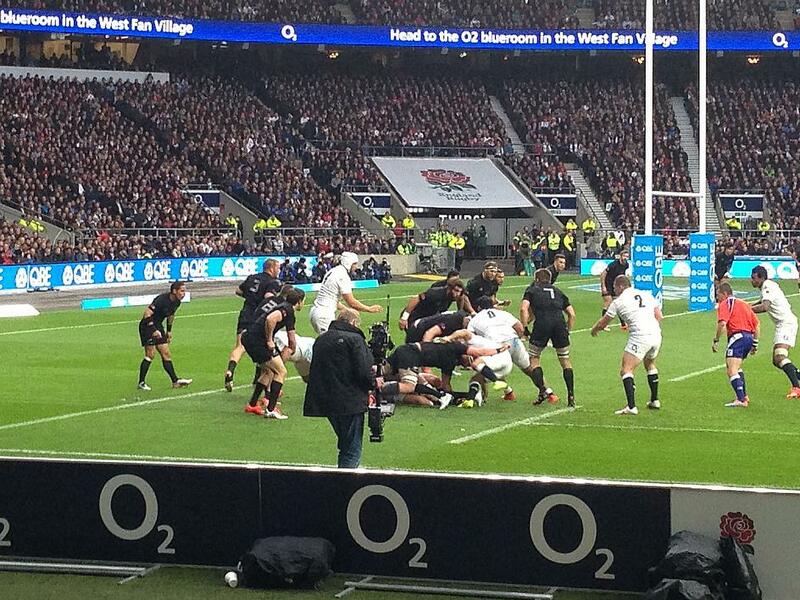 10) Has the gap closed between the mighty All Blacks and the rest of the world? They are still winning most of their games, but only by a handful of points in some cases. They are lacking their usual clinical precision at times.